Sometimes in healthcare, patients will need help with bathing and will not be able to get out of bed to shower. As CNAs, we need to know how to help these patients with their bathing needs. And that means learning how to properly use wash basins. Since all patients are different, they will all require a different level of care. Some will be able to shower themselves and won’t need our help at all. Others will be able to bathe in bed but will need supplies brought to them. Maybe some will need some help bathing or others will need someone to bathe them entirely. The only way for you to know how much help your patient needs is to read the care plan! The nurse has figured all of this out for you…all you have to do is follow the care plan! Basins cost money. Every supply that you use on a patient, they will be billed for. Every. Single. Supply. Now, sure, their insurance will probably pick up most of the tab – but the patient will still likely have to pay a percentage of the bill. Imagine going out to a restaurant with no prices on the menu. And you aren’t allowed to order for yourself. You will have no say in what they bring you, and have to pay the bill on the way out. This is what it is like for patients. Therefore, the fewer supplies that you use, the lower the bill is. The patient will be grateful. Since you don’t NEED two basins, it is silly to charge the patient for another basin just for your convenience, right? When preparing for bathing a patient, do not add soap to the water in the basin. If you add soap to this water, you lose the ability to use it for rinsing. Place the soap on the washcloth instead. This allows you to wash the appropriate area without affecting your rinse water. In addition, do not place soapy washcloths into the water after use; set used washcloths off to the side. This ensures that all the basin has held is clean water, which simplifies your cleaning process after patient use. Most facilities will use lather-free or “no-rinse” spray cleansers. This type of cleanser will not produce suds. It is still a good idea to rinse any cleaning agent off of the patient’s skin to avoid skin irritations, but it won’t require as much rinsing as sudsing soap, so a simple wet washcloth will do the trick! 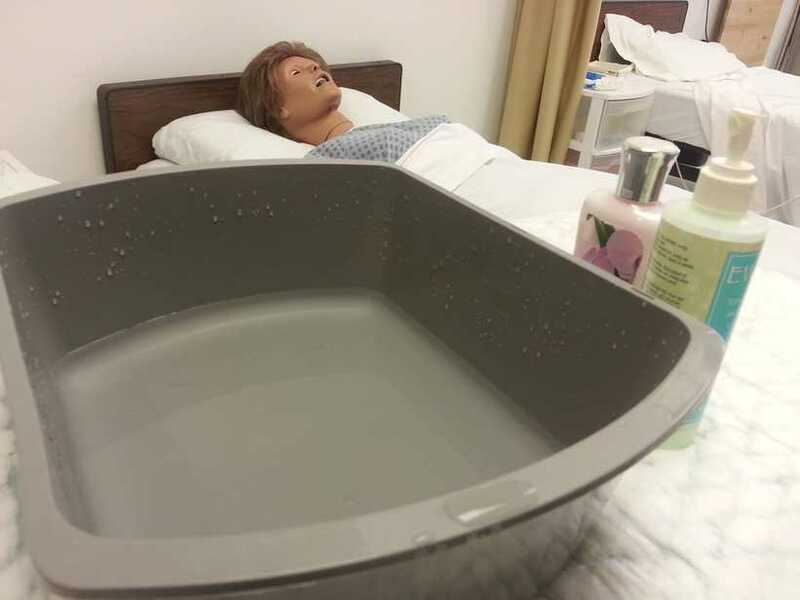 Learning how to bathe a patient with one basin will cut costs, improve efficiency and save time (since you don’t have to clean as much at the end of the skill). Since this is what is expected during the exam, it makes sense to practice it this way, too! So, remember, basins are “No-soap-zones”! Next PostTesting Tip: Water Temps! 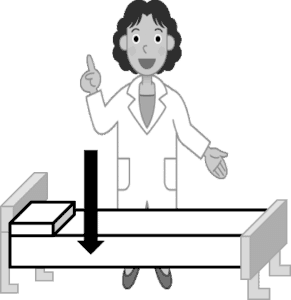 Testing Tip: Raise the bed?